As a precocious young girl, Surekha knew very little about the details of her mother Amma’s unusual past and that of Babu, her mysterious and sometimes absent father. The tense, uncertain family life created by her parents’ distant and fractious marriage and their separate ambitions informs her every action and emotion. Then one evening, in a moment of uncharacteristic transparency and vulnerability, Amma tells Surekha and her older sister Didi of the family tragedy that changed the course of her life. Finally, the daughters begin to understand the source of their mother’s deep commitment to the Indian nationalist movement and her seemingly unending willingness to sacrifice in the name of that pursuit. 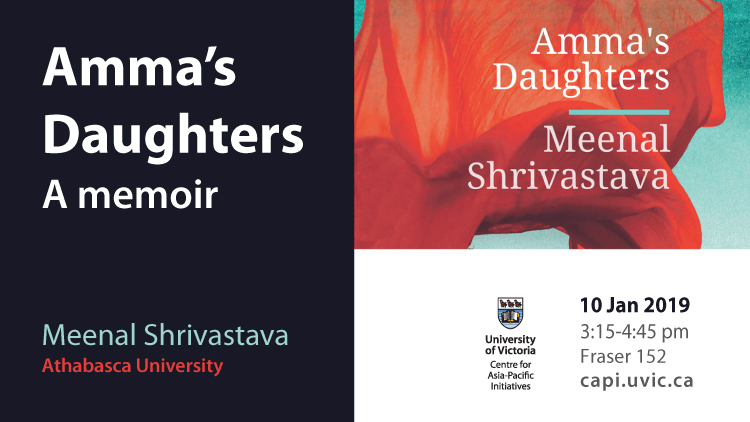 In this re-memory based on the published and unpublished work of Amma and Surekha, Meenal Shrivastava, Surekha’s daughter, uncovers the history of the female foot soldiers of Gandhi’s national movement in the early twentieth century. 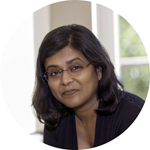 As Meenal weaves these written accounts together with archival research and family history, she gives voice and honour to the hundreds of thousands of largely forgotten or unacknowledged women who, threatened with imprisonment for treason and sedition, relentlessly and selflessly gave toward the revolution.